"The overall experience was awesome. The pacing from easier to more difficult was well done. The mountains we climbed and the locations we stayed at were super cool and well thought out. Very happy with the course." 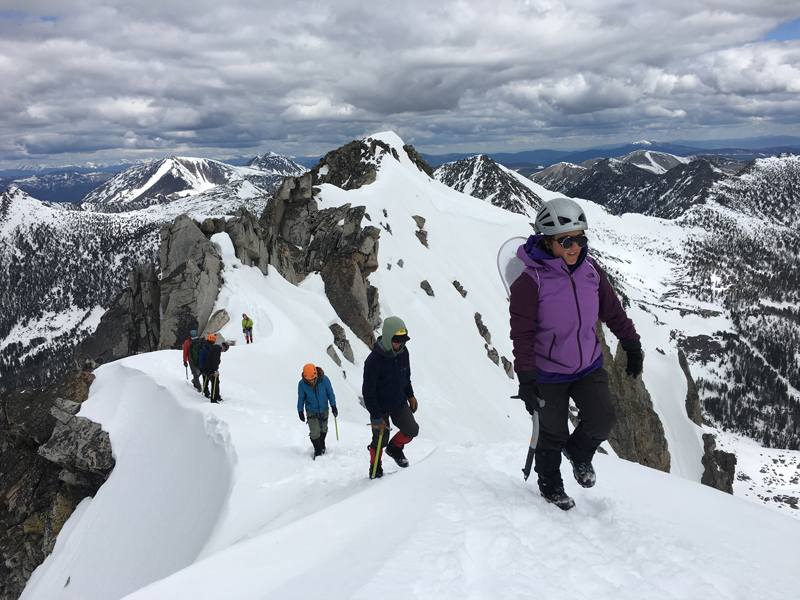 This 12 day intensive expedition in Montana's high alpine country emphasizes mountaineering, leadership skills and traveling in technical alpine terrain. 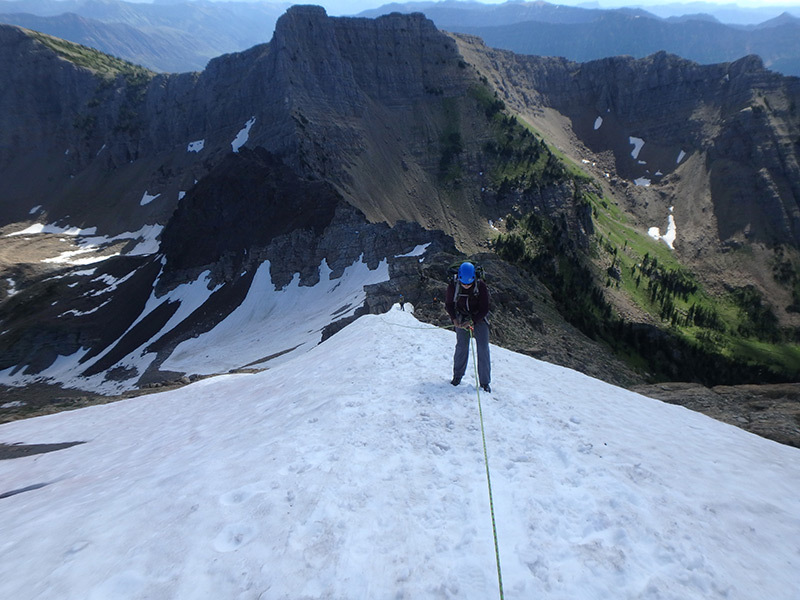 The Montana Alpine Rock Expedition is one of our most technical expeditions, specifically designed for 16 - 18-year-old students. 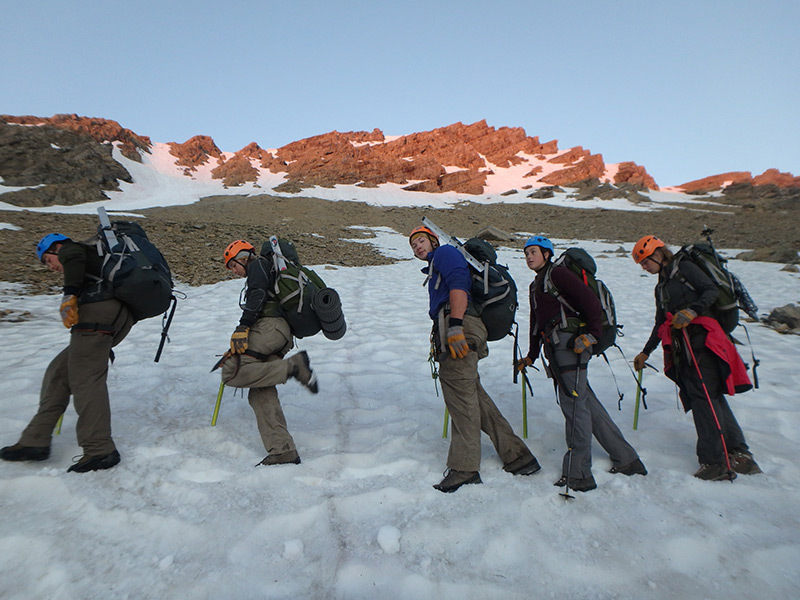 This multi-week adventure focuses on teaching students to be competent in fundamental outdoor skills such as cooking, camping, and navigation while developing leadership skills as an individual and as a member of an expeditionary group. 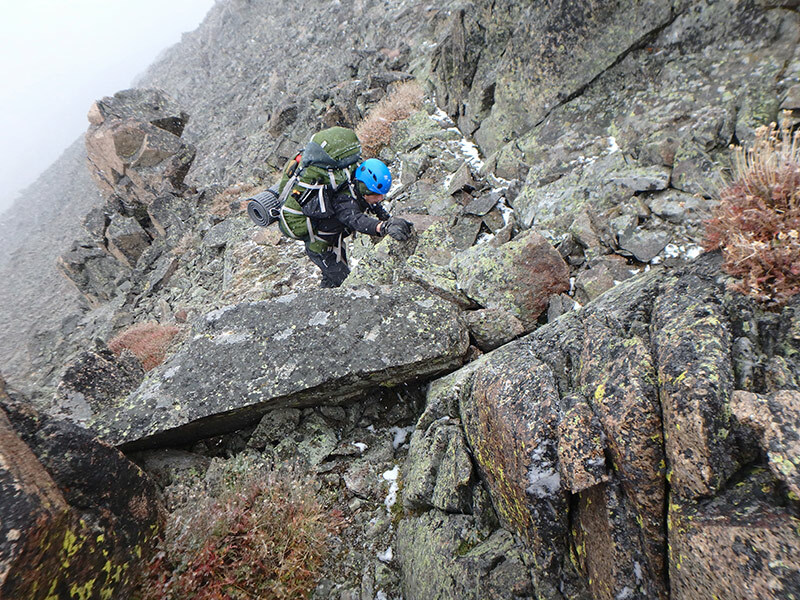 Students will be challenged physically, at appropriate levels, and will hike most days with heavy packs while climbing multiple technical alpine peaks. 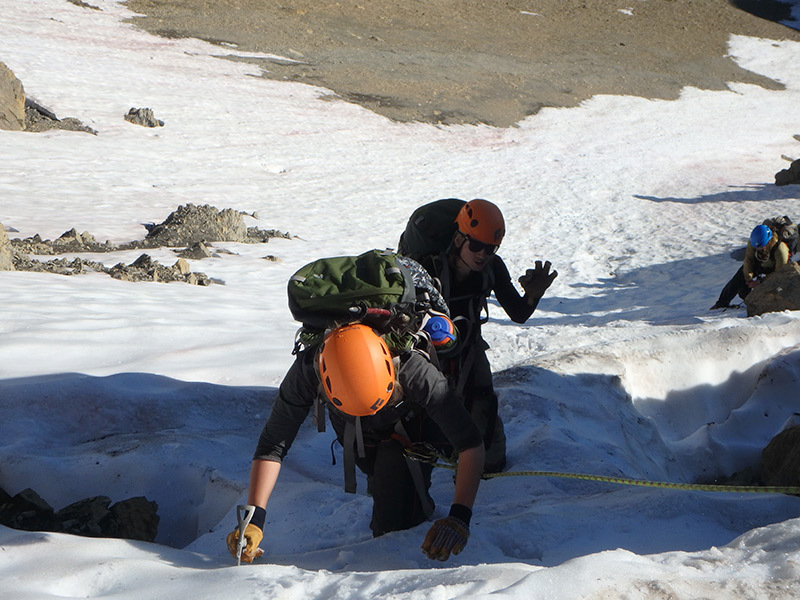 Students will gain experience navigating through challenging mountainous terrain primarily off-trail. This expedition is great for students with some rock climbing experience who want to develop their mountain skills. 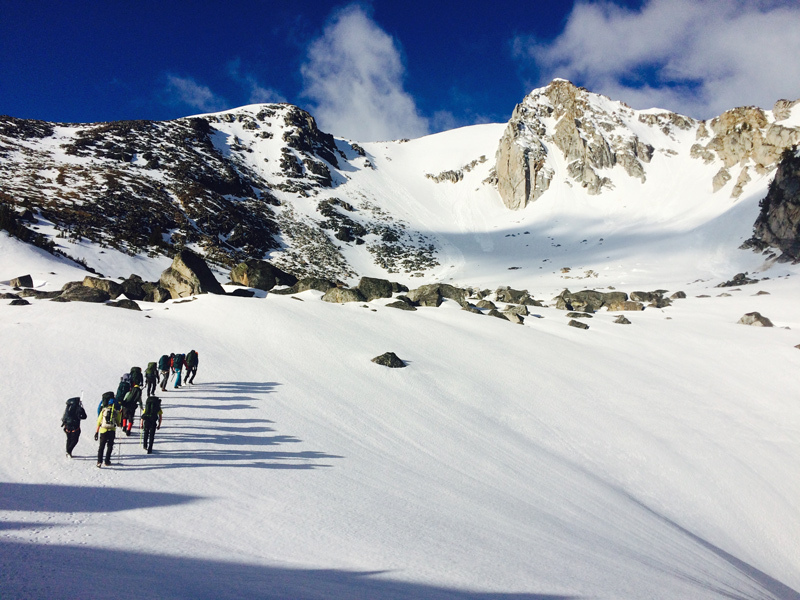 Students will engage in lessons about Leave No Trace® camping principles and learn how to work as a team to accomplish common expedition goals. Each student will have an opportunity to be the expedition leader of the day and to use his or her newly acquired leadership skills. For more information about MWS core curriculum and expedition, progression see Expedition Life.